, your boat will sound better than ever. Here at HalfPriceCarAudio.com, we carry the best Marine brands that are perfect for your specific marine needs. 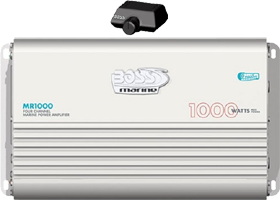 State-of-the-art digital amplifiers that deliver high quality sound to any watercraft. We choose and bring you the benefits of a truly automated audio system with solutions that are affordable, easy to install and designed to withstand the elements.